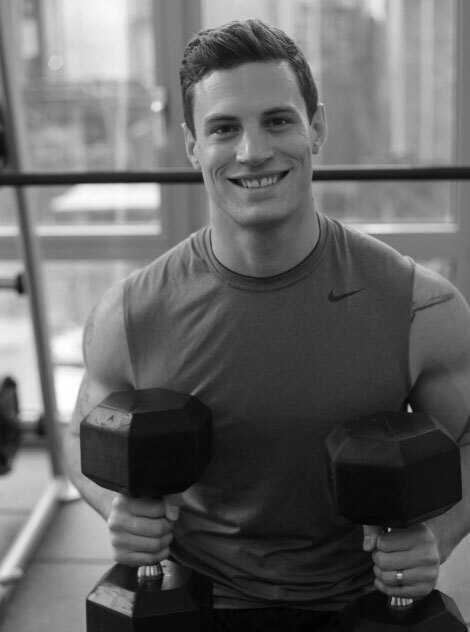 As a New York celebrity personal trainer, David Janik has a very positive attitude which enables him to motivate each client in achieving their goals. He focuses on proper form and technique which prevents injury and maximizes lean muscle tissue growth. His past and current personal experiences in the sports and fitness world are incorporated into each individuals program so that maximum results are achieved as soon as possible. Tasha, a New York City based trainer, has been changing the lives of individuals ranging from beginning to advanced for over 10 years. Since the year 2000, she has been instrumental in ManhattanMuscle’s success. Her competitive drive for perfection, dedication to her clients, and extensive experience in resistance training and dance is the foundation that makes her one of the leading fitness professionals in NYC. Tyler has been dedicated to refining his craft as a personal trainer since 2010. Armed with a passion for offering the highest quality training experience, Tyler’s methods have produced serious results for a multitude of clients. From ensuring excellent technique and proper progression to minimizing wasted time and effort, Tyler will guide and inspire you to achieve your absolute best physique. Proven expertise in maximizing fat loss and muscle gain while promoting health and longevity. Beginner clientele who are brand new to serious training. Intermediate clientele who are looking to take their physique to the next level. Proper training strategies to optimally develop the female physique. Designing programs and modifying exercises to meet individual client needs. NSCA (National Strength and Conditioning Association) Certified Personal Trainer. Trained hundreds of clients of all ages and abilities at major gym facilities all over the country (Equinox, LA fitness, 24 hour fitness) as well as in private boutique studios.